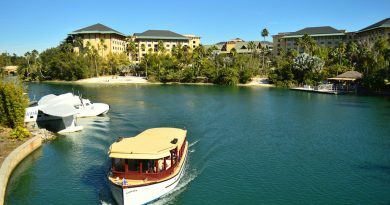 The Saturday Six is a weekly look at the most interesting, most fun, and sometimes even the most outrageous things within the theme park world we all love so much. Whether it’s the top six food options at Springfield’s Fast Food Boulevard, the top six signature drinks at Universal Studios, or even the top six “secrets” of the Wizarding World of Harry Potter, the Saturday Six will be your personal guide to experiencing the very best Orlando has to offer. 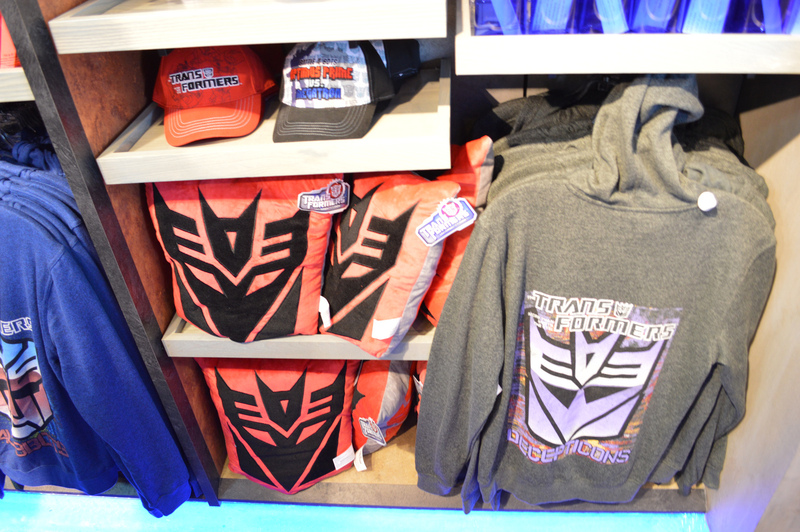 This week’s Saturday Six includes the Top Six Reasons to Love Transformers: The Ride-3D, the latest attraction at Universal Studios Florida. #6 – The Meet-and-Greet – As meet-and-greets have become a bigger presence within the theme parks (including Disney this week announcing a fan vote to decide which “long lost” character will return for Limited Time Magic), Universal has taken them to the next level with some of the most insanely detailed costumes to date. Rumored to cost over $20,000 a piece, Megatron, Optimus Prime, and Bumblebee will take pictures with guests at the new Photo Connect station located directly next to Transformers: The Ride-3D. Pictures of these suits do not do them justice. The first time I saw Optimus Prime walking to the meet-and-greet I was reminded of the introduction scene of Robocop back in 1987. That was special effects. This was happening right in front of me, and I felt like my eyes were deceiving me. It was awe-inspiring. 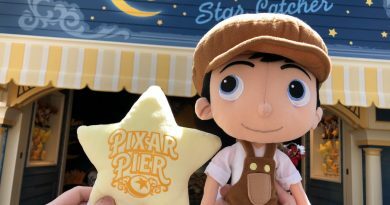 Not only are ultra detailed characters great for pictures, but they actually will interact with the guests. Hearing Megatron say, “I don’t smile,” while taking a picture is something that separates theme parks from amusement parks. #5 – The Supply Vault – One of the best lines in any attraction in Florida is in The Simpsons Ride as Kodos says, “Foolish Earthlings, don’t you know all rides must end near the gift shop.” What used to be almost a dreaded part of every theme park attraction now becomes something to look forward to as The Supply Vault, the gift shop for the Transformers ride, is filled with cool, unique, and exclusive merchandise. Not only can you get the requisite t-shirts (including a great “Robots in Disguise” shirt that has the Autobot logo with a mustache on it), but the store is loaded with toys, magnets, rings and other forms of merchandise with both the current version of Transformers as well as Generation1 version of Transformers, the cartoon from the 80s that many guests grew up with. The highlight of The Supply Vault may very well be the chocolate Allspark cube. A massive recreation of the signature Transformers Allspark, made completely in milk chocolate. 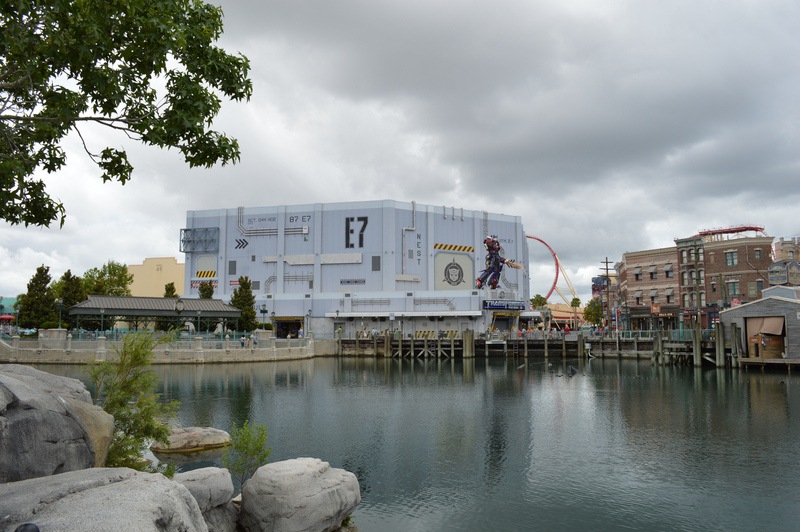 # 4 – The Building – A massive structure that can be seen throughout the park, the Transformers building looks even more impressive with a gigantic Optimus Prime – sword in hand – standing front and center. The building itself is a great replica of a top secret government warehouse, something you could easily see over at the Kennedy Space Center in Cape Canaveral, Florida. The outside of the building is filled with secret codes, many of which contain references not only to Transformers history, but also Universal Studios history in the form of Soundstage 44 and the old Hercules and Xena: Wizards of the Screen attraction that took place where the huge N.E.S.T. building now sits. # 3– The Queue – Universal Creative has been on a roll lately when it comes to delivering top of the lines queues for guests to wait in. Both Harry Potter and the Forbidden Journey and Despicable Me Minion Mayhem have queues and pre-shows that are almost as impressive as the attractions themselves. Transformers: The Ride-3D has guests walking through various rooms of the building, each with their own unique flavor. One room has a video that has the set up of the ride explained to the guest with a wonderful appearance by the Autobot Ironhide. Another has a shard of the Allspark cube. 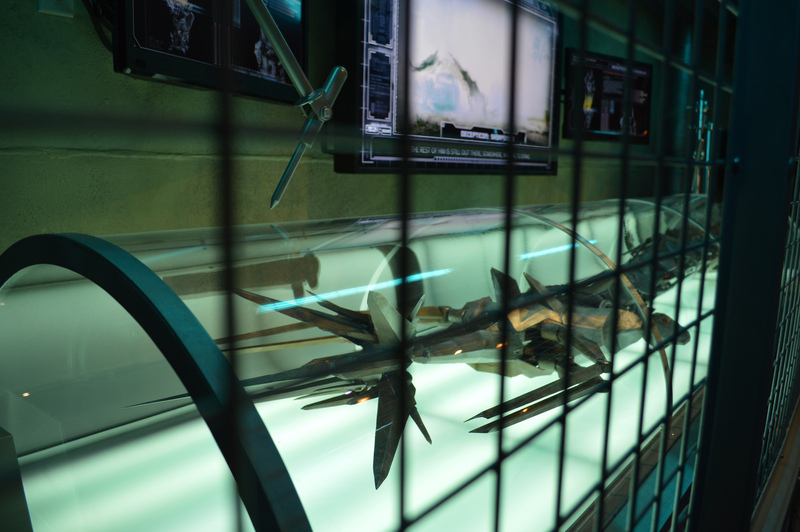 Yet another room has a truly impressive prop, the tail of the Decepticon Scorponok (who had a memorable appearance in the first Transformers film in 2007). While Express Pass and Single Rider lines may get you through the queue quicker, it’s highly recommended that the first time you experience this attraction you go through the Stand By queue and see the amazing story laid out in front of you. If you asked 20 people what their favorite part of the ride was you’d probably get 20 different answers: it’s that cool. Getting sucked out of the subway by Devastator…seeing Optimus and Megatron go at it…having a missile come right at you and explode…it’s one thrilling moment after another. Unlike the actual movies the ride is based on, the story and action throughout the ride are easy to follow and completely fulfilling in every sense. This is not a ride; it’s an experience. 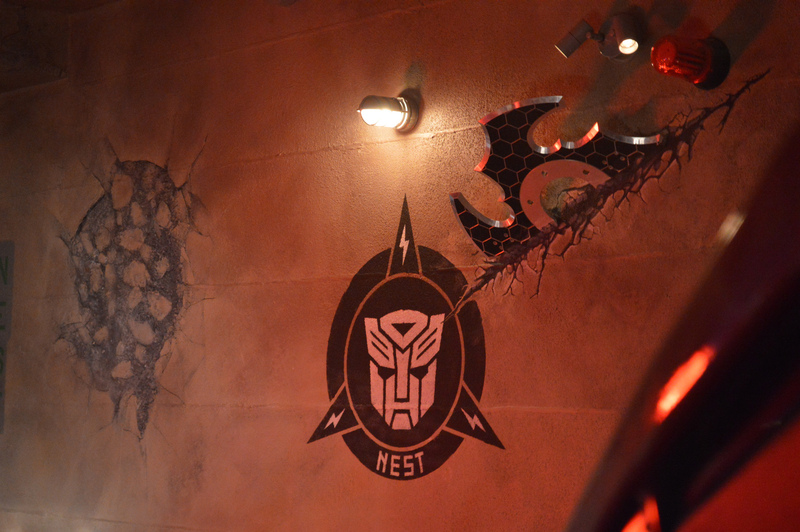 # 1 – EVAC – The best surprise of the entire ride is that we are in a Transformer throughout the attraction. Exclusive to Universal Studios, EVAC is the perfect character to guide guests through this story and unlike Spider-Man – where we are watching all the action take place around us– we get to actually be a part of everything going on throughout the ride. To top it off, EVAC is an exclusive figure available at Universal Studios, giving the prefect synergy between a brand and a theme park ride. Star Tours at Disney’s Hollywood Studios has several “exclusive” action figures you can buy, but not a single one of those characters make a memorable appearance in the ride. EVAC is the ride for Transformers, and a brilliant ride at that. And guess what? 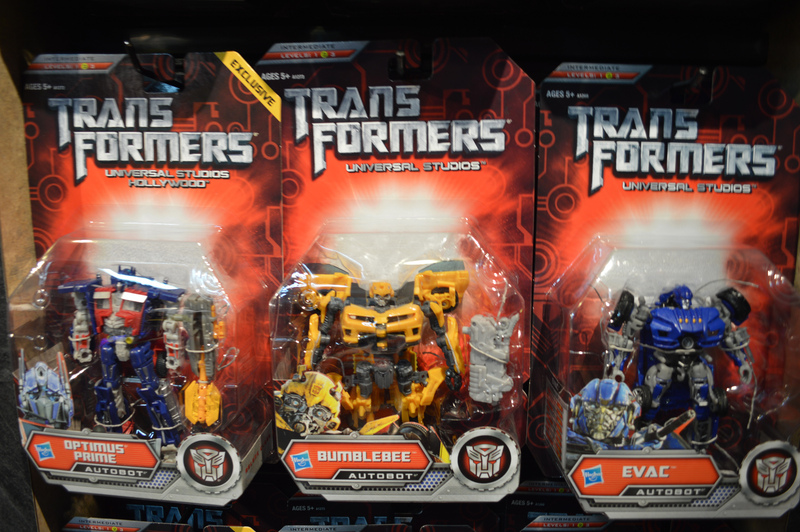 Here’s a full review of the EVAC Transformers Toy! See you next weekend for the latest edition of the Saturday Six! Special thanks to crack staff photographer Brandon Glover for his invaluable assistance with this article. Be sure to also check out Brandon on The Park Blogger podcast with co-hosts Aengus Mackenzie and Brian Carey. Also, we’d like to send a thank you to Attractions Magazine, our all time favorite theme park magazine. ← This week on TouringPlans YouTube Channel: Disney Shoes, Legend of Jack Sparrow Update and More! Actually, you are part of the action in Spiderman as you are sent by Jonah Jameson to fight off crime with Spiderman, but the Sinister Syndicate catches you in their secret lair and you get hit by Electro, almost get burned by Doc Ock, and Doc almost sends you to you’re doom. However, Transformers is an upgrade as you’re vehicle is a character of itself. Similar rides, but different stories.